Lamborghini has launched 50th edition Limited edition - Gallardo LP 550-2 exclusively for India priced at Rs 3.06 Crore. The carmaker specifies that only 6 such units will be produced. 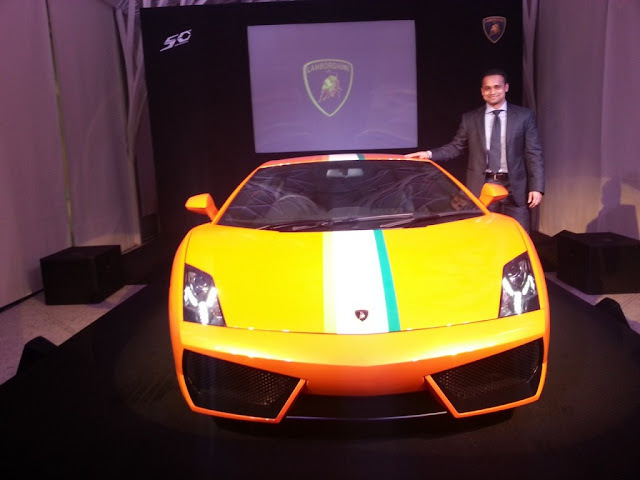 The exterior of the special edition supercar is adorned with three color options – Arancio Borealis (Pearl Orange), Bianco Monocerus (White) and Verde Ithaca (Pearl Green), depicting the Indian national flag. 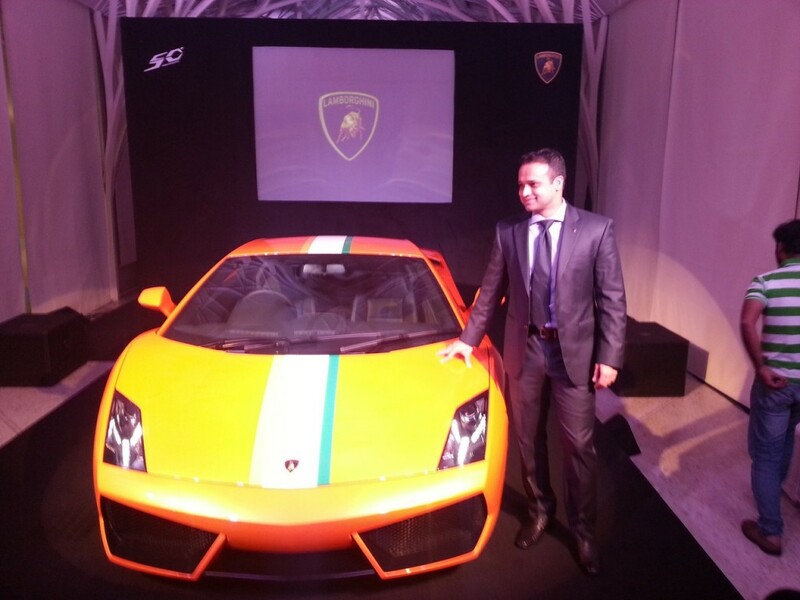 A Indian tricolor strip runs along the length of the car starting from the nose all the way to the engine hood. The driver side quarter glass gets a plate that reads “India Serie Speciale”. The interiors of the car also gives a hint of exclusive Indian edition - The car boasts black colored leather seats however the driver's seat gets Verde Ulysse (green) contrast stitching, the passenger seats are sewn in Arancio Leonis (orange) while the stitching on the doors, centre console and dashboard are in Bianco Polar (white). The tricolored Gallardo is powered by same 5.2L 550 hp V10 petrol engine which enables the car to cross 0-100 Kmph in just 3.9 seconds and thereafter you can stretch the car to a maximum of 320 kmph. The carmaker aslo mentioned that one out of the only six units to be made has already been booked !